You’ve been chugging right along with your marketing campaigns, and for a while, they were working. But now it feels like your campaigns are zombies, and your audience is a ghost town. It can be horrifying to realize that your hard work is no longer paying off. 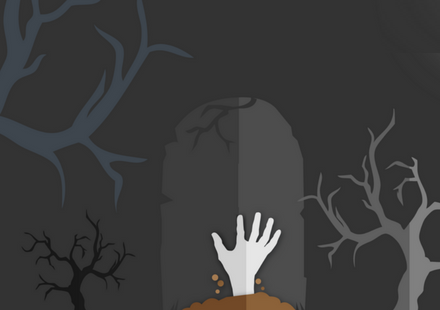 Fortunately there are a few strategies to bring your zombified campaigns back from the dead. Your campaigns likely aren’t doing poorly across all marketing channels, so it’s important to get to the bottom of which specifically aren’t netting you results. You might find that plenty of people are clicking your campaign tweets on Twitter, but that your Instagram efforts are hauntingly devoid of results. Or maybe email marketing is still strong and steady, while your online ads are stumbling. Once you target exactly the marketing channels that aren’t working, you have two choices about what to do next. But we’ll get to that in Step 3. Just like you did with your various marketing channels, you need to look at each campaign and compare it to the others to see which are no longer effective. Maybe you had a campaign designed around the concept of summer that is no longer relevant, and therefore not working to help you reach your audience. Or maybe the Snapchat photo contest isn’t really attracting entries. Make note of the ones that simply aren’t working. 3. You’ve Come to the Crossroads: Which Path Will You Choose? You could even do a combination of the two. But start out with one change so you can measure the impact that tweak had. If you want to cull your marketing channels to focus on the most effective ones, consider how you’ll back off: cold turkey, completely shutting down those channels (such as a social media profile that isn’t really reaching your target market) or just lessening your efforts there? Look at the marketing campaigns you have that have netted positive results. What trends do you see? This information can help guide you in future campaigns and keep you from making mistakes like you did with the ones that died a horrible death. Get more tips that will breathe life back into your marketing campaigns by downloading Aligning Strategic Communications with Business Goals. With this free guide from Cision and PR Newswire, you’ll learn how executives and communications teams can bring PR, advertising, marketing and analytics together for multichannel success.